The Dallas Museum of Art in November acquired seven works from the Souls Grown Deep Foundation through its museum transfer program, which places works from the foundation’s foremost collection of artworks by African American artists from the South in esteemed institutions around the country. 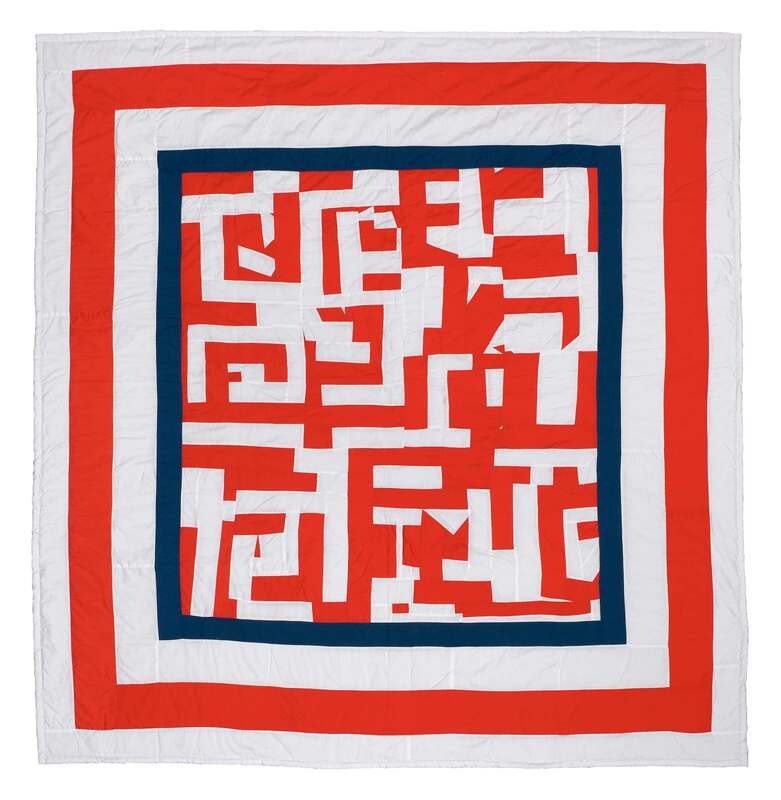 The DMA acquisition, a partial gift/partial purchase from the foundation, includes works by Thornton Dial, Ronald Lockett, Nellie Mae Rowe, and four quilts created by Louisiana Bendolph, Mary Lee Bendolph, Amelia Bennett, and Annie Mae Young, women of Gee’s Bend Alabama. Dallas Museum of Art longtime patrons Beverly and Donald S. Freeman have awarded $4 million to the Museum to establish the Freeman Family Exhibition Endowment. This exceptional gift is designed to advance the presentation of special exhibitions across the DMA’s encyclopedic collection, providing robust opportunities for the Museum to engage audiences with the presentation of art across cultures and time in innovative ways. As part of the endowment, each year the Freeman Family will select one special exhibition from the Museum’s program for which it will offer significant support. Co-organized by the Dallas Museum of Art, the Musée national des beaux-arts du Québec, the Barnes Foundation (Philadelphia), and the Musée d’Orsay, Paris, this international exhibition is dedicated to one of the founding members of the French Impressionist movement, Berthe Morisot (1841–95). Berthe Morisot, Woman Impressionist will focus on the artist’s treatment of the modern figure through approximately 60 paintings from public and private collections around the world. A timely reevaluation of Morisot’s legacy, this exhibition will be the first dedicated presentation of her work held in the United States since 1987. The Dallas Museum of Art will present the first major solo museum exhibition of work by American painter Jonas Wood, one of the most influential and exciting artists of our time. Bringing together approximately 35 works across 13 years of Wood’s career, the exhibition traces the artist’s fascination with psychology, memory, and the self to shed light on a practice that is both deeply personal and universal. Drawing on works from the permanent collection of the Dallas Museum of Art, this exhibition presents the ways in which contemporary artists engage with landscapes, broadly defined, exploring how our natural and built environments intersect with our representations of ourselves and our communities. “America will be!” is the rousing closing line of the 1935 poem, “Let America Be America Again,” in which Langston Hughes argues for a vision of America that is inclusive of the multiplicity of experiences at both the margins and the center. This exhibition explores how contemporary “landscapes” might better reflect the full diversity of the peoples who inhabit North and South America. Dior: From Paris to the World surveys more than 70 years of the House of Dior’s legacy, featuring a dynamic selection of over 100 haute couture dresses, as well as accessories, photographs, original sketches, runway videos, and other archival material. This exhibition profiles both Christian Dior himself and subsequent artistic directors, including Yves Saint Laurent (1958–1960), Marc Bohan (1961–1989), Gianfranco Ferré (1989–1996), John Galliano (1997–2011), Raf Simons (2012–2015), and Maria Grazia Chiuri (2016–present), all of whom have carried Dior’s vision into the 21st century.